My heartfelt condolences to you and all those that loved your Mother. May all the fond memories you shared aid and comfort you during this difficult time. Ron deepest sympathy sent your way . She was a wonderful lady . I had the greatest pleasure of being one of Elaine's caregivers. She was such a sweet lady with many stories of her life. We had so many great times. My father was one of Dennis' pallbearers and we spent a lot of time talking about their friendship. My thoughts and prayers for all of the family. Heaven gained an awesome lady. Ron, so sorry for your loss. Good memories will get you through this toughest of time. Prayers to you and your family. Very sorry for your loss. Elaine was a wonderful and loving person who always had a hug for us when we came and helped her with her flowers and any landscaping she needed. We loved her so much. She is in God's heavenly garden now and watching over all of us. Ron, I'm so sorry for your loss. We will keep you and your family in our prayers. 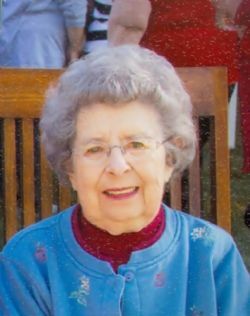 Our deepest sympathy to Ron Vlach, Elaine was a great lady and will be missed!